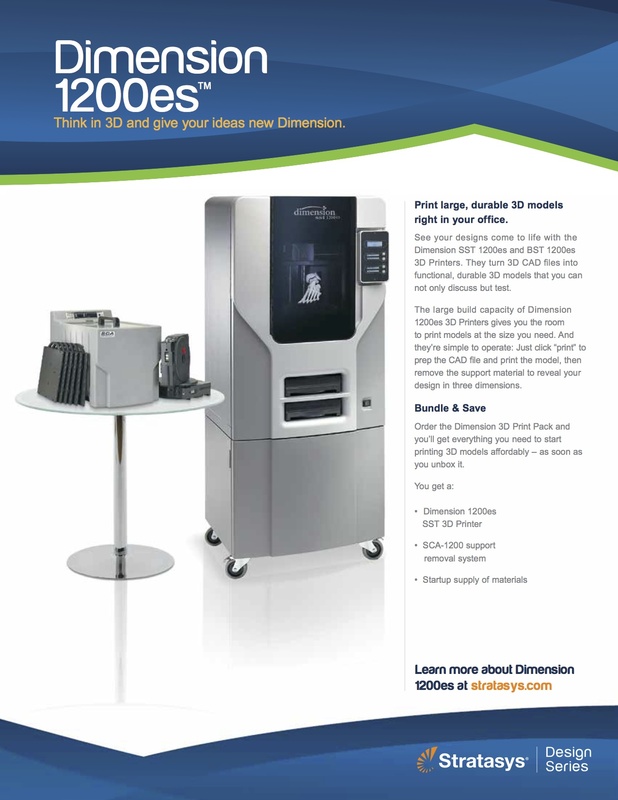 The Dimension 1200es is your gateway into the best-selling family of professional 3D printers.&nbsp;In-source your prototyping and functional testing and make your models where you hatch your ideas. The money you save will make you feel even smarter. 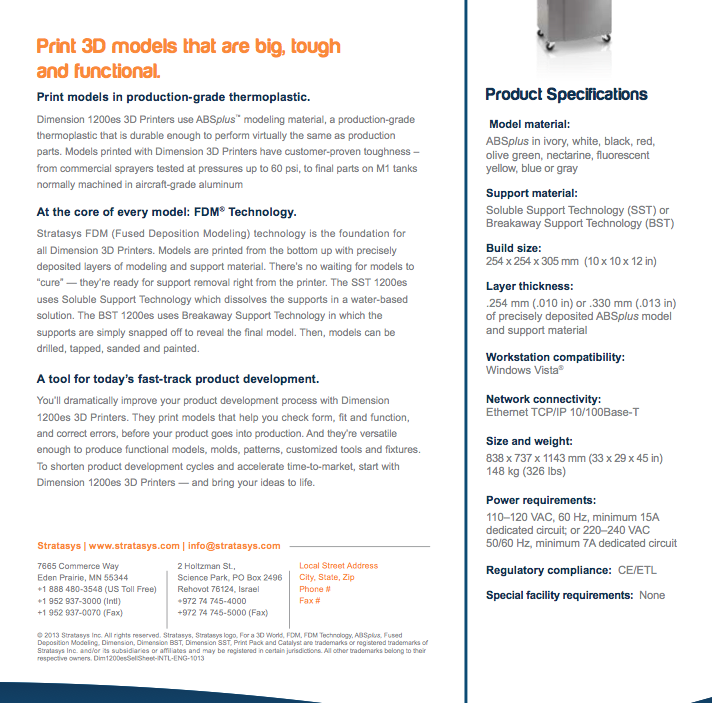 The Dimension 1200es features the largest build envelope of any Stratasys Design Series performance 3D printer. Running on Fused Deposition Modeling (FDM) Technology, it prints in nine colors of real ABSplus&nbsp;thermoplastic. This 3D printer lets you choose fine resolution or faster printing, with layer thicknesses of 0.254 mm (0.010 in.) or 0.33 mm (0.013 in. ).